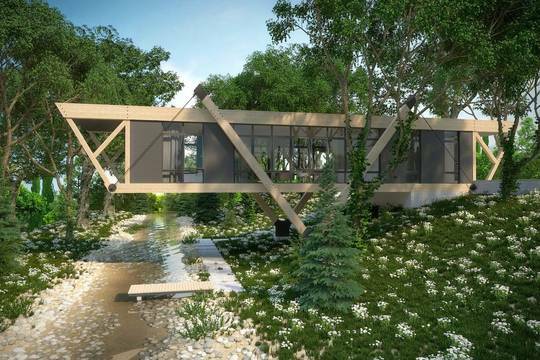 Contest for designers and architects “House of the Future”. Everyone who is regisered at the VATIKAM International Association is welcome to take part. Deadline for submitting the projects for the Competition: 20 April 2015. End of the voting: 21 April 2015. Results to be announced on: 24 April 2015. - by all means tick off the box “Taking Part in the Contest ‘House of the Future’”. Those participants whose portfolios have gained most votes within the whole period of the Contest will gain the top three prizes. Both the participants themselves and registered visitors may vote. For the sake of objectivity a rule is established, according to which one registered participant or user may vote for the same portfolio only once. Prizes include special diplomas from the VATIKAM International Association, grades one to three. The projects of the top three winners in each nomination will be mentioned in a banner at the top of the main page of the VATIKAM portal for one month, from 24 April to 23 May 2015.